1995 Horton box. I’m not familiar with the electronics on the ambulance box. I see that there is an plug on the driver side that seems to accept a 3 prong plug. If so, is that where i would get the shore power? I also took photos of what’s inside one of the compartments behind the driver side and it has several things installed. Not sure what their functions are. These guys helped me wade through my own electrical situation last fall. From my experience with my rig, the external plug is where the shore power goes in. 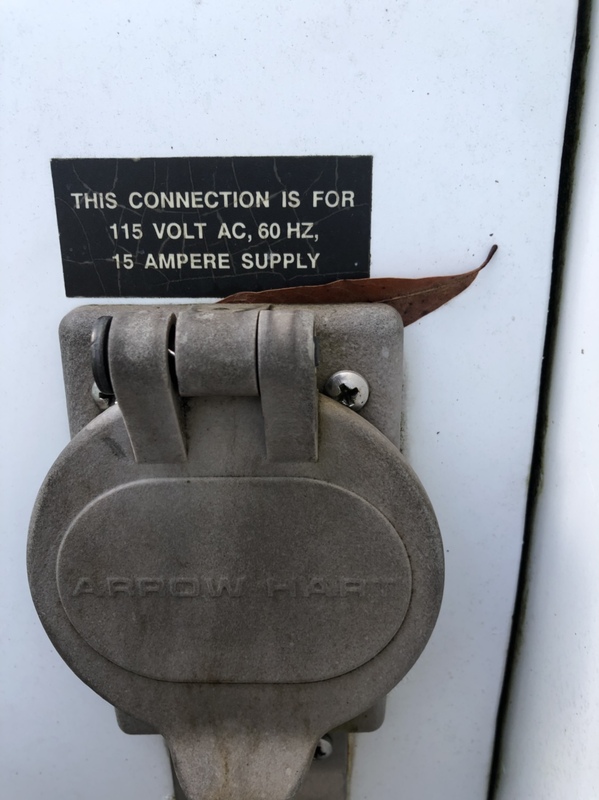 From the prong set up, it looks to me like a 15 amp connection. I'm guessing the two switches are circuit breakers. My rig has one near the inverter. If it's tripped, shore power doesn't work. 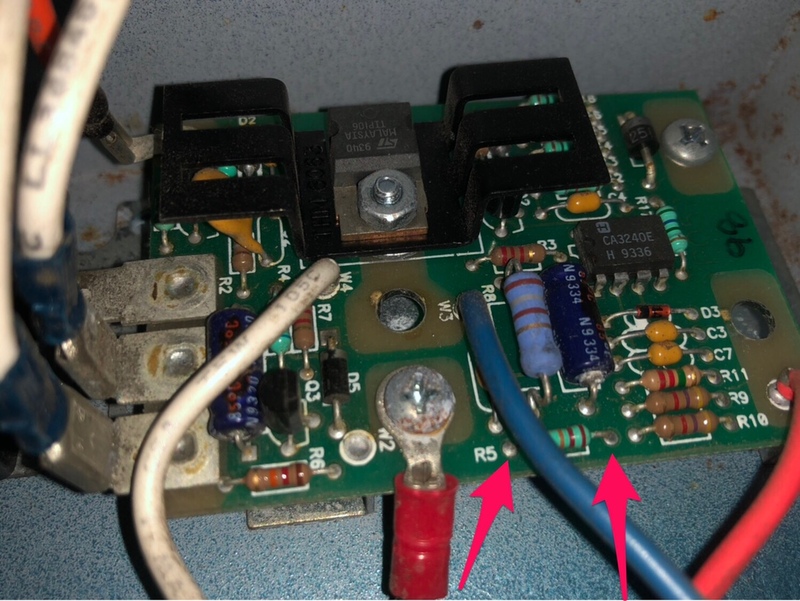 One looks like it's a breaker for your battery charger (inverter?) with the French words. I'm not sure what the "ACO" one is for. Obviously, I know enough to be slightly dangerous. 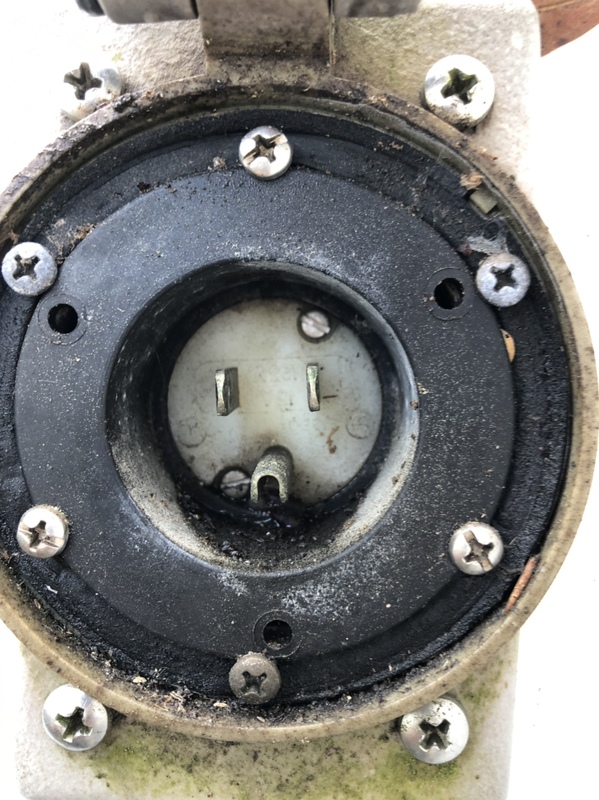 Had a chance to plug an extension cord from the garage into the inlet on the driver side when the truck was off. The two 110 wall outlets inside lit up and I plugged some 110 work lights to see if the outlets worked and they did. 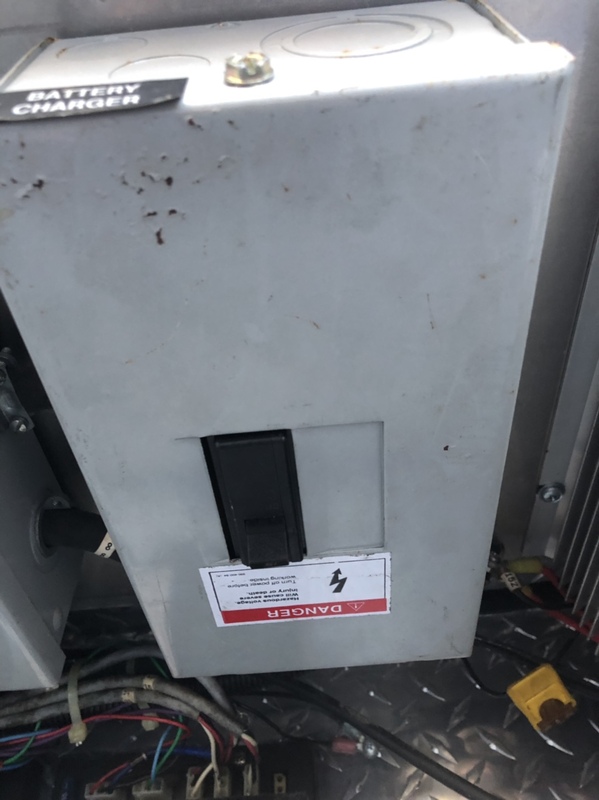 I have a question now, is the shore power only available when the truck is off or is it able to be connected to power when running? Just curious. Thanks. As long as the 'Shore Power' breaker inside the rear is in the 'ON' position, you can use Shore Power with the engine and key in the 'OFF' position. 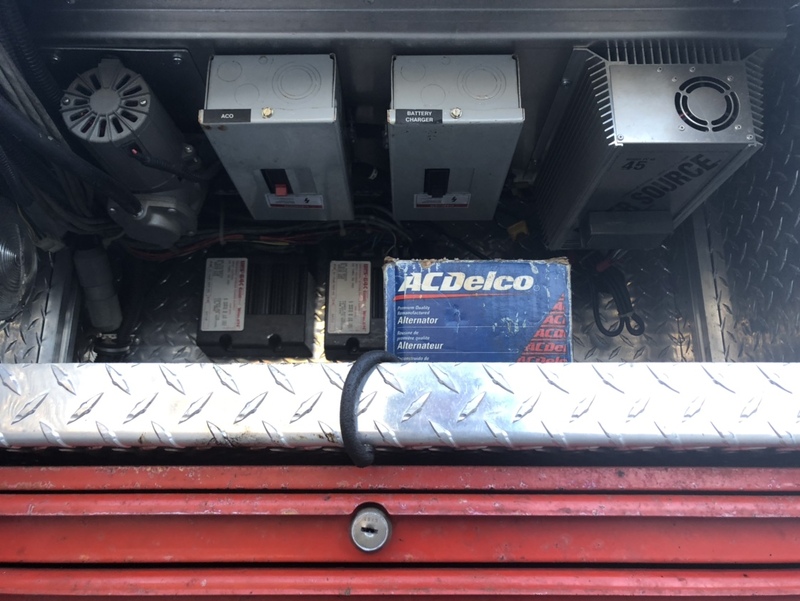 The whole purpose of Shore Power is to provide power to the equipment that requires charging in the back and the engine heater, when the vehicle is parked and shut down. It also provides power to the battery charger to keep the batteries up during prolonged shut down periods. 1993 Ford E350 Type III, and 2005 Ford F450 Type I, Wheeled Coach Ambulance to Camper Trailer builds. When you get your inverter get one with a pass thru circuit. Typical VANNER sine wave. You can remove all that messy wiring.. The shoreline feeds the AC power side of the inverter/charger. When the inverter looses AC shore line then it jump over to the DC to AC converter. All of your circuits will go to a single service panel like house. The inverter output AC line will be the feed. NOTE If you plan on plugging into you house to charge and it has a GFI.. Its recommended that the Grounds (green) in the panel of the squad go to the bonded lug in the panel. all the Neutrals (White) lines are connected together in a large wire-nut. This will keep you from blowing the GFI in the house. I can send you a diagram .It cleaned up my compartment nicely.. And its easy to add circuits and isolate. Outlawupfitting wrote: When you get your inverter get one with a pass thru circuit. Typical VANNER sine wave. You can remove all that messy wiring.. The shoreline feeds the AC power side of the inverter/charger. When the inverter looses AC shore line then it jump over to the DC to AC converter. All of your circuits will go to a single service panel like house. The inverter output AC line will be the feed. NOTE If you plan on plugging into you house to charge and it has a GFI.. Its recommended that the Grounds (green) in the panel of the squad go to the bonded lug in the panel. all the Neutrals (White) lines are connected together in a large wire-nut. This will keep you from blowing the GFI in the house. I can send you a diagram .It cleaned up my compartment nicely.. And its easy to add circuits and isolate. Is there a way to tell if the batteries are getting charged when the shore power is connected? 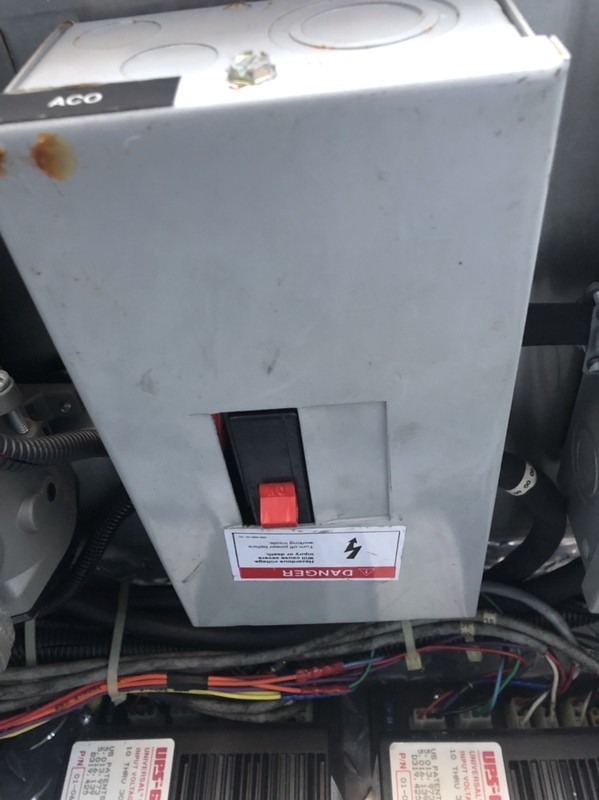 The inverter that came with the ambulance was a redi line 1600A DA12L. It has a minor problem with the circuit board. It only activates when I jump two ends (red arrows) on the circuit board. It’s a pretty cool inverter. Once it gets going, it only activates when you turn the device on, then turns off when the device is off. 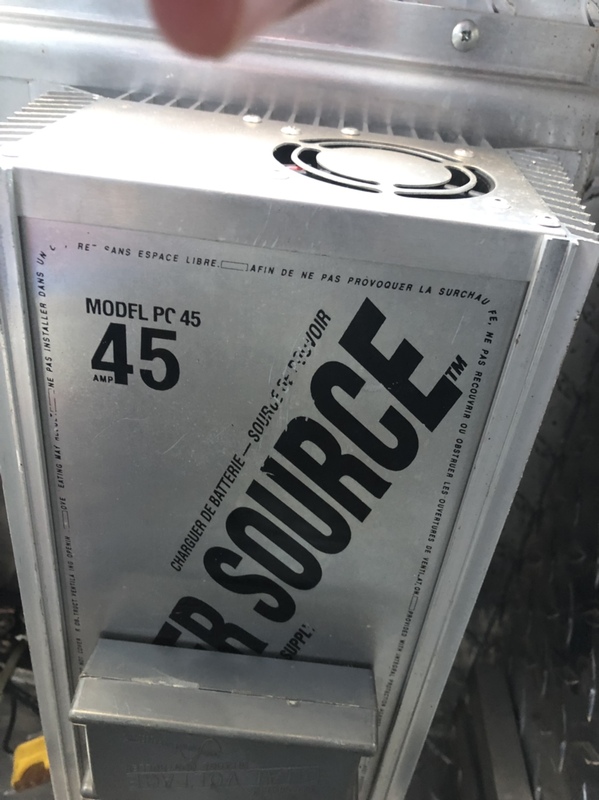 Anyone familiar with this type of inverter? Thanks in advance. Yes.. let he batteries sit off for 30 min or so . Place your meter on the battery, is should show 12 ish volts. let your meter stabilize then plug in the shore power and you should see a voltage increase. as for the circuit board try to re solder the points to that resistor. If that doesn't work replace the resistor. Outlawupfitting wrote: Yes.. let he batteries sit off for 30 min or so . Place your meter on the battery, is should show 12 ish volts. let your meter stabilize then plug in the shore power and you should see a voltage increase. as for the circuit board try to re solder the points to that resistor. If that doesn't work replace the resistor.